London is home to the biggest Jewish community in the UK with about two-thirds of all UK’s Jews living in Greater London. All aspects of Jewish life and culture are represented in the London area, from Orthodox through to Reform and Liberal and not only does London house over 30 synagogues, there also many cultural centres as well. So if you are planning a Jewish Wedding in London, you have an abundance of choice of synagogues for your Jewish Wedding Ceremony. Some of the larger more traditional style synagogues in Central London include the Western Marble Arch Synagogue, New West End Synagogue & Bevis Marks Synagogue. 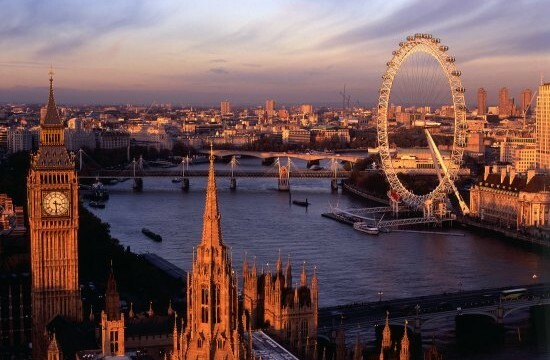 In addition, on the outskirts of London, there is also a great choice. These include Hampstead Garden Suburb Synagogue, Edgware & District Reform Synagogue & the Liberal Jewish Synagogue, St. Johns Wood to name just a few. London and its suburbs provides an extremely diverse selection of Jewish Wedding Venues to choose from for your Simcha, including beautiful hotels, restaurants, halls, event spaces, museums, quirky venue spaces and so much more, all varying in size and options. If you can’t find the right venue in and around London then you will struggle! It is important to understand what type of venue you would like and this will help narrow the search. Otherwise the search can be overwhelming. It is not just about the big functions and the volume of people – around London there are equally many smaller event spaces that will create the right atmosphere and setting for your Jewish Wedding as well as offer more cost effective options. One stunning venue is The Andaz London Liverpool Street (a Hyatt Hotel). Formally the iconic Great Eastern Hotel, this historic building dating back to 1884 provides a stunning London Jewish Wedding venue of both modern and classic Victorian interiors. Another gorgeous Jewish Wedding Venue is Rooms on Regents Park . Situated in the heart of London with spectacular surroundings and breath-taking views of The Regent’s Park Boating Lake, Rooms on Regent’s Park is an extensive and flexible venue offering both classic and contemporary spaces. Many hotels will hold the relevant licenses for the Wedding Ceremony to be held at the venue. This can be a good option if you do not wish to travel after the ceremony. In addition, if you do not require a kosher caterer and prefer a “non-offensive” menu, i.e. a fish meal, many hotels now offer this option and you can avoid the room hire cost. Additionally as the Jewish Wedding market is so vibrant in and around London, there really is the greatest choice of suppliers to your Jewish Wedding – including Kosher Caterers, Bands and Photographers – which means you can find the right supplier for you.